I'll be interested to hear what you think about Starting Out In The Evening--I want to read more by Brian Morton since I enjoyed his Florence Gordon so much. 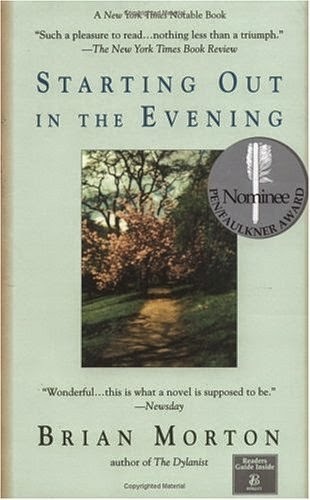 Bookmammalmusings - Starting Out in the Evening is very good, but not quite as good as Florence Gordon. It has a lot of musings on the craft of writing and the writer's life... interesting! ACK! Snow?!!! I don't want to even think about snow. I love your pictures--beautiful! Heidi - Thankfully those snowflakes only last an hour or so, but the ground was covered just 5 miles away... a little bit higher in the hills! Then again, there I was, walking to the library last Wednesday night at 8 pm in jeans and a tee shirt and the frizziest hair on the planet and feeling too warm! Is there such a thing as city-effect muggy yuckiness? I'd rather have snow. :) Your cauliflower mac and cheese looks and sounds delicious...not to mention Barbara Pymish, though I think she didn't put in the mac. I would, though! Hope you have a great week. Audrey - Last Thursday I actually considered turning the AC back on - so crazy! I tried making a cauliflower cheese a year or so ago for Barbara Pym week, but it was not especially successful.. hoping for better luck with this recipe! Oh JoAnn, you really do need to come to Florida. It is gorgeous today...right now, close to noon, it is 78 degrees, breezy and not a cloud in the sky. I've never seen so many people out on walks. I'm sorry you abandoned Wicked but I totally understand. It was not really an enjoyable listen for me. Bad narrator, weird confusing prose from Bradbury. It felt like it had an identity crisis. I'll be interested in what other people think. Sandy - My FIL went back down on Thursday. We're planning to drive a car down next month and fly home, so it's there waiting for us in January. Counting the days! 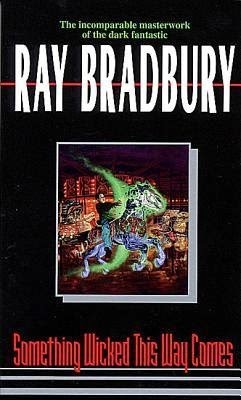 I didn't like Bradbury in high school and was wondering if my tastes had changed after all these years... guess not. Still glad I gave it a shot though. Oh my goodness - such a busy week! I'm surprised you had snow. 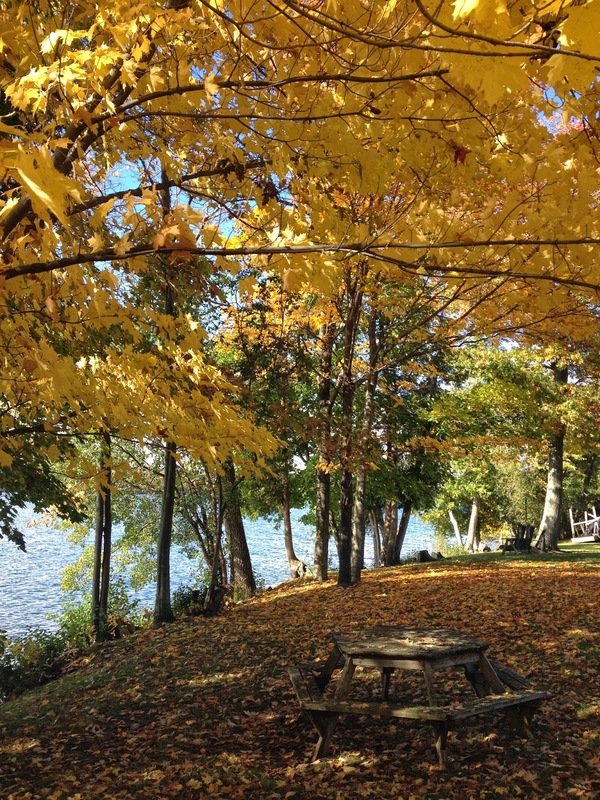 Beautiful Fall photo. I'm curious about Doll-baby. Glad you are enjoying it. Have a great week. Pat - Snow is fair game around here from October through May, unfortunately. Far too early to suit me. Dollbaby is excellent on audio! Snow?! I am not ready for that yet - don't envy you a bit! Hope this week is better than last for you! I want to read Florence Gordon! And I hope to read The Paying Guests soon, as it is already on Sparky...waiting. Sorry about the snow...It seems unfair to have so little actual fall before the white stuff descends. Maybe it's a fluke? Thanks for visiting my blog...and enjoy your week. Laurel-Rain Snow - I'm pretty sure Florence Gordon will end up being one of my favorite books this year. Hope you get a chance to read it. 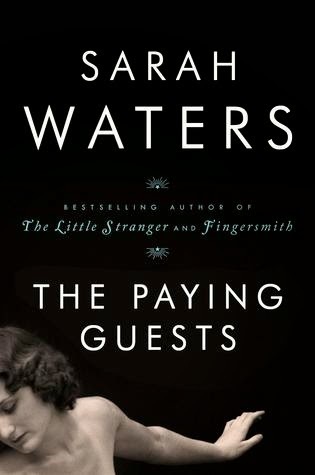 I'll stop by the library on my way home today and pick up The Paying Guests... looking forward to it! 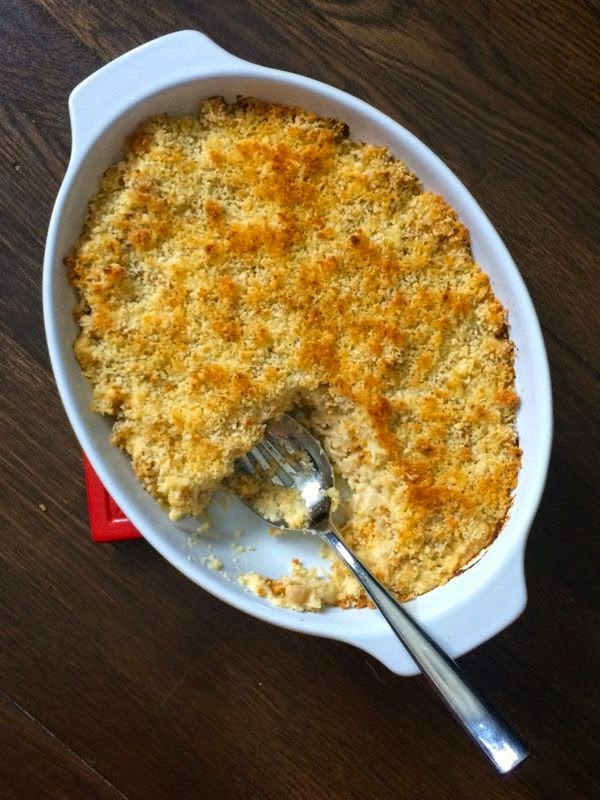 Diane - I still use Italian flavored bread crumbs for some things, but I should use Panko for everything else - love the crunch! Did you say snow? In October? Yikes! Kathy - My sisters b-day is October 18... somehow that date is associated with the beginning of snow season for me. Laura - I listened to more of Dollbaby in the car this morning... so good! What a busy week, JoAnn, with a mix of good and challenging scenarios. Appliance and car issues are always frustrating. But time with family and in the kitchen nicely counterbalance. Can't believe you've already seen snow--just the thought makes me shudder. The heat is on here, to take the chill off the house. Time to brace myself for the realities of winter. This is when I whip out my crock pot, so I enjoyed reading about what you're cooking. And the mac and cheese casserole looks yummy. Glad you are enjoying Doll Baby. I read it over the summer and thought it was one of the best books I've read this year. Catherine - I think we have the same approach to winter - crockpot cooking and lots of reading! Dollbaby will certainly end up among my favorite audiobooks this year... almost hate to have it end. Your week sounds so like it was so busy!! And snow too! I like snow, but not quite this early. Doll Baby sounds amazing. I love books set in New Orleans, so I will have to give it a go. :) Have a great week! Quixotic Magpie - The last book about New Orleans I read was Five Days at Memorial, about Hurrican Katrina - fascinating. Can't remember the last novel set there. It's definitely one of the attractions of Dollbaby. It's freezing cold here today so I know what you mean, but snow this early would freak me out. I really like to have a long Fall season. Sounds like you had a really busy week. Hope this week is better. I have read one Bradbury book (Fahrenheit 451) and liked it, but his writing is a strange one. It's very detached with very little happening or a lot of things happen, but the prose is still very stilted that I miss some of that. I may try more of his books but I really wanted to read Fahrenheit 451 so I stayed with it. Not sure if I will be as tenacious with his other books. Athira - Our fall is always too short... spring too, for that matter! I think is the end of Bradbury for me. Didn't like his prose at all and I just couldn;t seem to get into the rhythm of the story. Snow?? Yes go to Florida immediately! Sounds like you've been running crazy this week. Looking forward to hearing what you think of Paying Guests. It's on my TBR and I'm excited about reading it. I've had that happen a few times with library loans and it's always a mystery. Have a great week! Katherine - Winters are very long in the part of the country,so I'm hoping to spend much of it in Florida. We were there for almost 6 weeks last year (the longest ever) and I'm hoping for even more this year! The trees here in NC are still green! At least we are having some autumn weather, though. Usually it goes from high summer to freezing winter in the span of a week! Doll Baby looks up my alley. Off to learn more! Becca - That's how it is here in spring... the season is almost non-existent. We get a few mild days and then it's summer. Dollbaby is a wonderful book. I'm sure it's just as good in print as it is on audio. Lindsey - I have gone from 5 or 6 to the top of the list overnight before and have been puzzled, but this one is a total mystery, lol! I know there are more variables than I'm aware of, but library holds are a strange business! These library holds are such a mystery... not sure how I vaulted to the top of that list. Hope you get there soon, too. The weather here is just weird at the moment - one moment sunshine the next wind and rain! Fay - We seem to be stuck in a wind and rain pattern now. Tonight is probably the night for mac and cheese! I hope you enjoy The Paying Guests! I'll be interested to hear what you think of Dollbaby. Good choice as an audiobook? I haven't listened to any audibooks in awhile, and I need to start one! Stocking your daughter's freezer for the rest of the semester!?! Oh my . . . the things I have ahead of me in the coming years . . .! Snow already? Yikes you have us beat- it's been cold but no snow yet. I love that picture you posted- so autumn-y. Hope your week warms up a bit! "It's Sunday and it's snowing." I've decided to skip Something Wicked This Way Comes. I've only read a couple of books by Bradbury and I wonder if my plan to reread Dandelion Wine is a mistake. I read it so many years ago and as I recall, I loved it, but it may not live up to that memory. I really wasn't all that impressed with Fahrenheit 451 when I read it a few years ago. I'm in a bit of a slump this past week. I'm reading JoJo Moyes' The Last Letter from Your Lover, but so far it hasn't pulled me in. I'm heading to CA on Wednesday, so I'm a bit distracted. Really need to get engrossed so I have something to read on the plane! Les - There are only 4 months here that are guaranteed snow-free... June, July, August, and September. I remember Halloween being cancelled a couple of times when my kids were little - so disappointing for them. The weather is totally crazy here, too. I actually considered turning on the AC last Thursday. My mother read The Last Letter from Your Lover and didn't like it quite as much as other Moyes novels. Not sure I'll get to it if you're having trouble getting into it, too. Have a great trip to CA!! What!!! Snowflakes in the air, say it isn't so. I like to make what my kids call freezer food for them too. All of them are out of college, but work crazy hours and are too tempted by fast food. Nise' - I think that's a mother's natural instinct... my mother still sends food for my freezer, too;-) It's always appreciated! Not the "snow" word! We're just getting a good start on our fall color and I already dread cooler temperatures. Stay warm and enjoy your week! Jen - Thanks, I think that snow was a warning blast... time to get things winterized around here. That will be our task for the upcoming weekend. Snow already? Well, I guess we often have some in October but it's so far off our radar yet this year and I can't even bear to think of it any where in the country already! I wouldn't give up on Bradbury so fast. SWTWC is a weird book, even for him. Some of his others Fahrenheit 451 for example are worth a read and different in tone from SWTWC.